Db2 delivers real-time insights at the point of impact by bringing analytics to where the data and transactions originate. This reduces latency, complexity and costs, while improving data quality and governance. 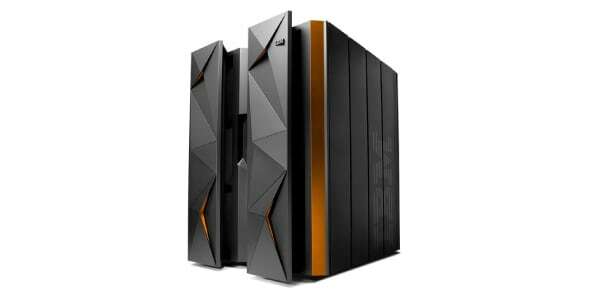 It also provides the proven reliability of IBM z Systems - the highest levels of availability, scalability and performance - to support an agile, integrated on-premise and cloud environment. Mobile applications for business-critical activities continue to grow in number and importance. Securely connecting those mobile applications to enterprise data, while maintaining the agility and simplicity of development models, is critical. Db2 can now store JSON data, retaining development flexibility and simplicity while adding security, resiliency and consolidated system and operation management. Real-world, proven resiliency and security are some of the core reasons clients choose Db2 for z/OS. Db2 continues to raise the bar with capabilities for even higher availability and resiliency. With the explosion of data scalability enhancements in Db2, it’s the right choice for large and growing databases. When 80 percent of world’s corporate data resides or originates on the Mainframe, Db2 for z/OS is at the core of Machine Learning. Offering up to 23 percent lower CPU cost due to advanced in-memory techniques, Db2 12 is the platform of choice. Catch the wave early and stay ahead of the competition with faster analytics, scalability and speed for the mobile era; 20 percent or better CPU savings; in-memory database performance and much more. An enterprise database for mission critical data, providing secure, seamless integration for analytics, mobile and cloud. Empowers the optimizer to determine the best-performing query access paths based on workload characteristics, using machine learning technology. Leverages improved data serving capabilities to drive down risk and reduce business costs. Your ability to distribute reporting information quickly throughout the enterprise has been exponentially increased through the WebSphere® component of QMF™ Enterprise Edition. Combines System z quality of service and Netezza technology to accelerate complex queries in a highly secure and available environment. A machine-learning solution that infuses continuous intelligence throughout your enterprise. Db2 database management tools help optimize management, maximize performance and lower operating costs. Deploy new application workloads on the System z platform. You can benefit from new capabilities and enhancements sooner, without waiting for - and migrating to - full new product releases. One such continuously delivered enhancement is the LISTAGG built-in function. It improves productivity for developers and supports faster delivery of business-critical information - in the optimal format - for decision makers. With Urban Code Deploy, you can easily automate the deployment and configuration of database schema changes in Db2 11 and 12. Reduce the time, costs and complexity of deploying and configuring your business-critical apps to achieve business value faster and more efficiently. Db2 11 and 12 support application development in many modern programming and scripting languages. Application developers can use languages such as Python, Perl and Ruby on Rails to write Db2 for z/OS applications. The Db2 REST service provider, available in Db2 11 and 12, unleashes your enterprise data and applications on Db2 for z/OS for the API economy. Efficiently create consumable, scalable and RESTful services to securely interact with business-critical data and transactions, without special Db2 for z/OS expertise. Make your dynamic SQL perform as efficiently as your static SQL, with the same level of access path stability. This book shares an overview of how Db2 12 for z/OS addresses business and technological needs and will also help architects and IT professionals understand Db2 12's capabilities. Learn how you can build a Db2 for z/OS mobile application using IBM Mobile Developer Edition. Presented by John Campbell IBM Distinguished Engineer. This is two part webcast which will provide a technical overview of Db2 12 for z/OS that covers: goals and highlights, performance enhancements. Db2 for z/OS supports a wide variety of programming and scripting languages for developing applications. Programming applications for Db2 for z/OS are now more accessible than ever before. With the reliability and security of Db2 for z/OS and System z, enhance your web, mobile or cloud applications by using Db2 RESTful services to access Db2 data directly. Swiss Mobiliar used IBM Db2 for z/OS to deliver rapid processing of reporting queries with no increase in active server cores.